Your bathroom should be more than simply functional. You deserve a space that leaves you feeling relaxed and content every time you use it. It should provide a calming start to each day and a safe haven to retreat to at night. Whether you’re transforming an existing space or creating something brand new, it all starts with an idea. 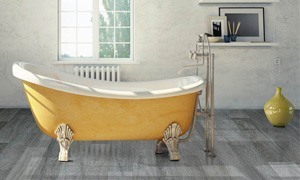 Bring your ideas to life by exploring the latest trends and bathroom inspiration. Bathroom design inspiration comes in many forms – you may want to browse through our gallery and take in the full array of style choices and designs. Or perhaps you’re looking for some practical advice? Check out our blog for the latest insights, updates and recommendations. Our downloadable PDF guides have also been designed to help you explore everything, from style choices, to getting the most from your available floor space. 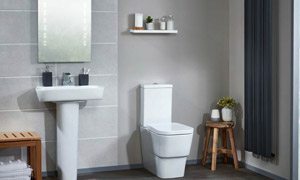 There are plenty of different elements to consider when planning your bathroom and it’s important not to focus on the finer details too early. Start by thinking about what’s important to you and the rest of your household. Do you want a freestanding shower and separate bath? Or maybe you could save space with a combined bath-shower installation? Perhaps you no longer have use for a bath and have your sights set on a larger, walk-in shower? It really depends on your preferences. Selecting a style that suits your home is so important. After all, you want to enjoy your new bathroom for decades to come. Whether you opt for modern luxury or traditional charm, subtle details like tiling and colour choice are what tailors the space around you. In need of some bathroom inspiration? Get in touch with our team for some advice. 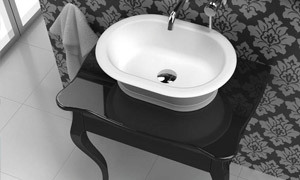 Our expert bathroom designers will go through the options with you, so that you find a style that’s exactly right.